The NEW Bodyworx LCF128 Cross Fit Power Rack is purpose built to easily handle heavy duty work. The 70 x 70 x 3 mm high tensile steel frame will accommodate the massive loads you require. The 4 x 8 mm thick chrome plated gun racking and easy adjusting spotters are perfect for any situation. Buy Bodyworx Power Rack LCF128 online. 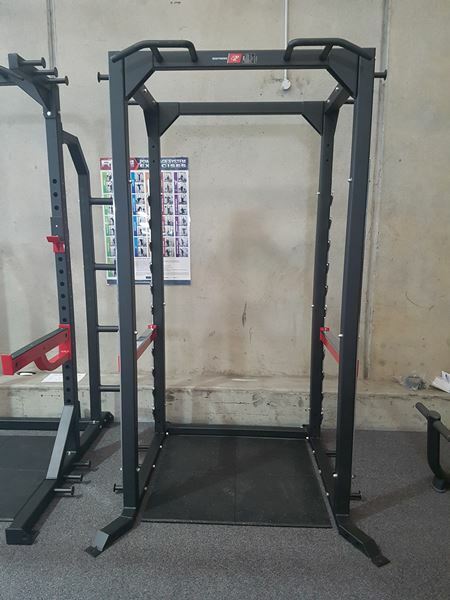 If you are interested in the Bodyworx Power Rack LCF128 for sale, feel free to enquire above.